Sleep apnea occurs in 4 - 26% of the population at large . 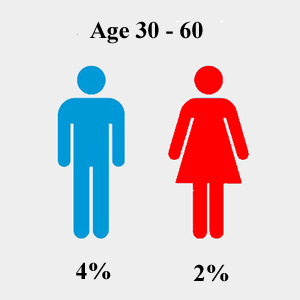 It affects 4% of men and 2% of women between the ages of 30 and 60 . 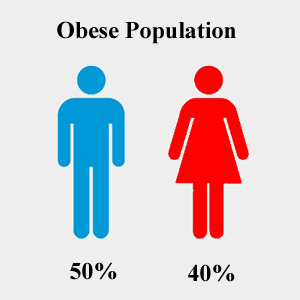 It is also more common in obese patients: 40% of obese females and 50% of obese males have OSA.